Summer MELT 2019 EARLYBIRD registration is OPEN through April 30. View the full schedule and register today! We're HIRING an Operations Manager! Read the job description and learn how to apply here. Keep up-to-date! Stay informed on all of Movement Research’s classes, workshops, performances, and events by signing up for our monthly newsletter. SAVE THE DATE: Summer MELT 2019 is July 8-August 9, 2019. Registration coming April 1. Movement Research depends on the generous contributions of individuals like you. Thank you for your support! 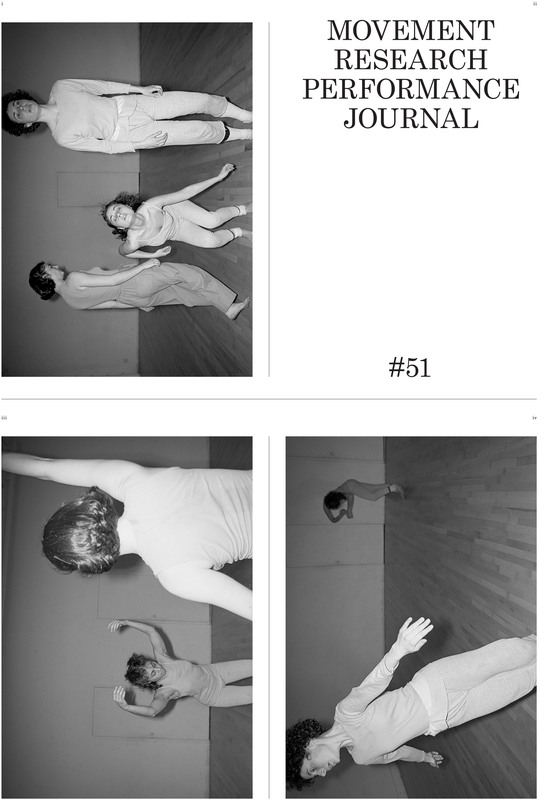 Critical Correspondence is a web-based publication of Movement Research that provides a forum for diverse engagements with artistic practice, research and the contexts that surround the field of dance. Movement Research makes subsidized studio space available to artists for rehearsal, classes, workshops or private instruction. Learn more!